It's the hap-happiest season of all! You heard me. We're happy over here! The Christmas lights are up, the mantle is decorated and our tree will be going up this weekend! SO excited! 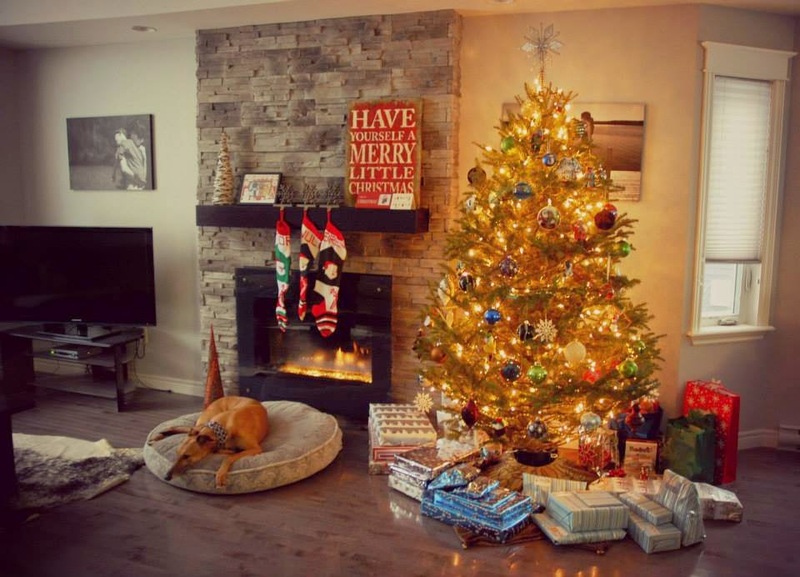 I love that people are posting photos of their trees all decked out with tinsel and garland and children's hand-made ornaments. It's making me so excited for our own tree-decorating ritual, but it's too early yet. Every year, we get a real tree, and though we have to wait until a little closer to Christmas to put it up, it's totally worth the wait. The challenge of cutting the trunk just right so that the tree sits perfectly in the stand, the revelation of the tree's imperfect shape once the branches have had a chance to fall, and the smell of fresh pine throughout the house all season long (because that's what Christmas is supposed to smell like!). 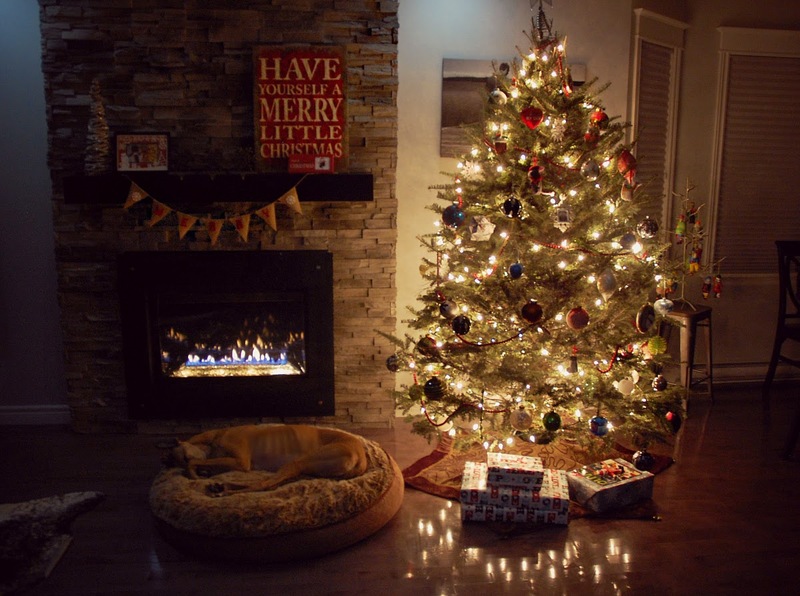 It reminds me of Christmases when I was a child, and there could be nothing better. Christmas is a magical time. 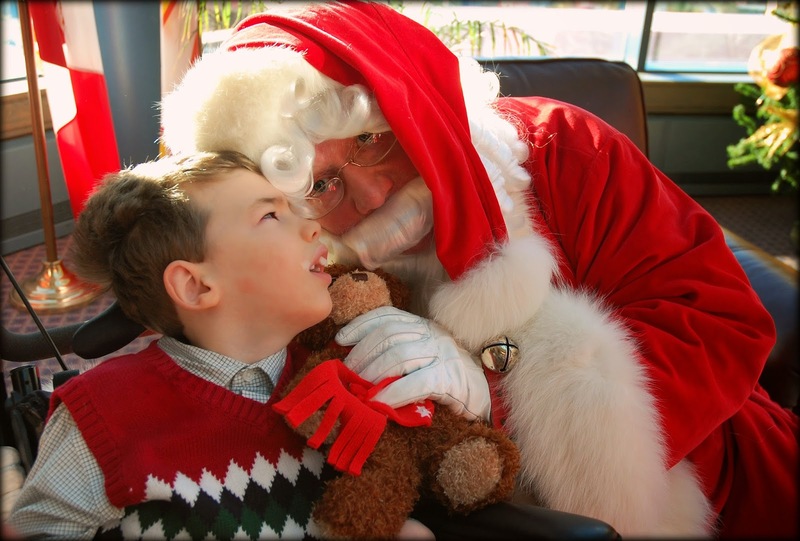 (Nothing will ever top the magic of Brennen's trip to the North Pole last year). 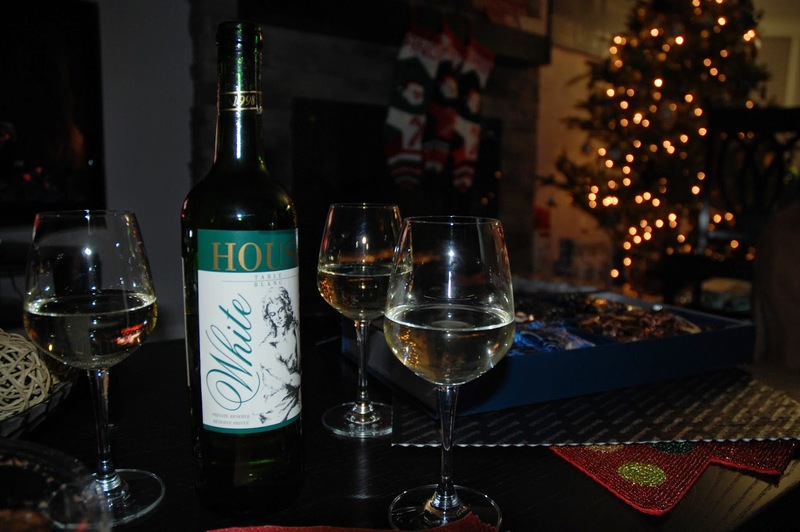 I love the sights and sounds of the holidays - the hustle and bustle of shoppers searching for the perfect gifts and stocking stuffers, the smell of cinnamon and nutmeg coming from my Mom's gourmet kitchen, and the holiday traditions that are passed down through generations. Growing up with grandparents who are no longer here, and relatives who are no longer close, it is now my turn to instill years of favourite memories into my own little family. If there is one thing we know for sure about Christmas, it's that it's not all about the presents. It's about spending time with the ones you love and making meaningful memories as a family. As Bruce Templeton says in his book The Man in the Red Suit, "It's your presence with your family that matters a whole lot more than anything that's under the tree. It's your presence, not presents that counts." 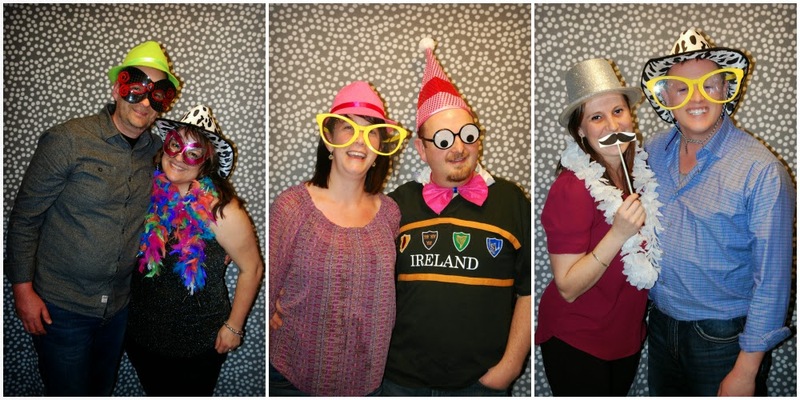 We have a busy weekend coming up, full of Christmas parties, holiday get-togethers and guaranteed magical memories. I look forward to posting an update with all of that! In the meantime, there are gifts to be wrapped, envelopes to be addressed and ginger cookies to be made! I really do love Winter. The crunch of snow under heavy boots, seeing your breath when it touches cold air. Mittens and sweaters, warm socks and fleece pajamas, and everything else that comes along with this magical time of year. Sweater weather is my favourite weather! I was so excited to partner with Rainy Sunday for this second 'Love Local' feature! Inspired by those chilly days when all you want to do is wrap up in a cozy sweater, designer and owner Jenn LeBlanc, is the mastermind behind Rainy Sunday. Based in Newfoundland, the collection is a mix of super soft yarns, innovative stitches and effortless, easy to wear silhouettes. Rainy Sunday is a brand that prides itself on quality and creating sweaters that you never want to take off. 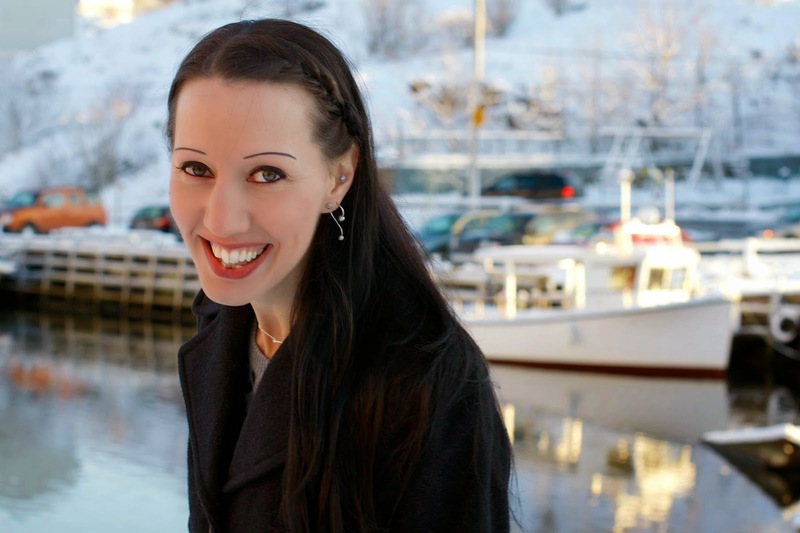 Originally from Halifax, Nova Scotia, Jenn has been fascinated by knitting needles and yarn for as long as she can remember. After studying Business at Dalhousie University, Jenn ventured to sunny California and gained her Knitwear Design degree from FIDM in Los Angeles. She worked for the international brand BCBG Max Azria and for Planet Blue, a brand that encompasses the true Californian way of life. After learning all she could from working in LA, she decided it was time to head home. From then on it was history in the making as Rainy Sunday was born. The Janice Cardigan is a beautiful mix of merino wool and cashmere. This sweater is so soft and cozy.. it's like a warm hug on a cold day. Visit http://www.rainysundayclothing.com/ and use coupon code TULIPS for 20% off your purchase! Pieces from the Rainy Sunday collection are also available in St. John's at Opal & Onyx and August & Lotta. I was recently photographed and interviewed for Faces of Newfoundland: Portraits & Stories from the Far East of North America. 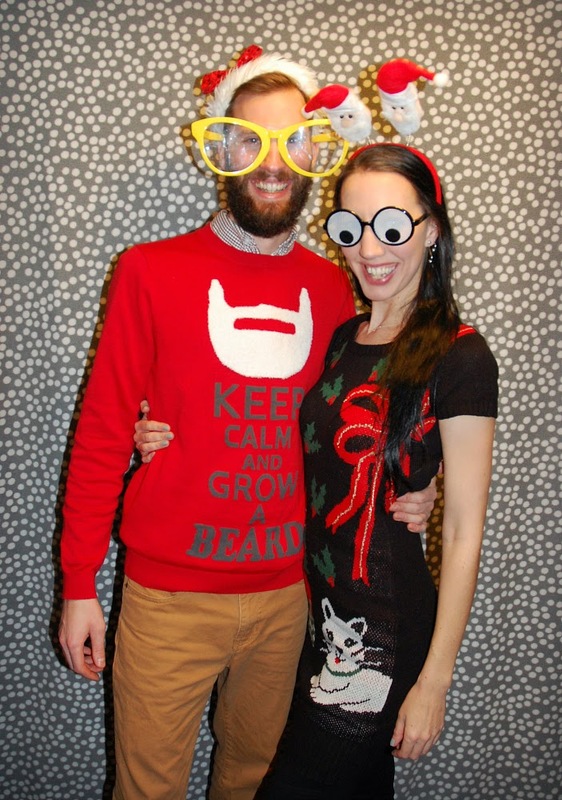 David McComiskey is a 30 year old fourth year medical student living in Mount Pearl, NL. He has a passion for portrait photography however, and what better way to channel that passion than to capture some of the people of this province. He says, "There is such a rich culture and diversity of life stories here. 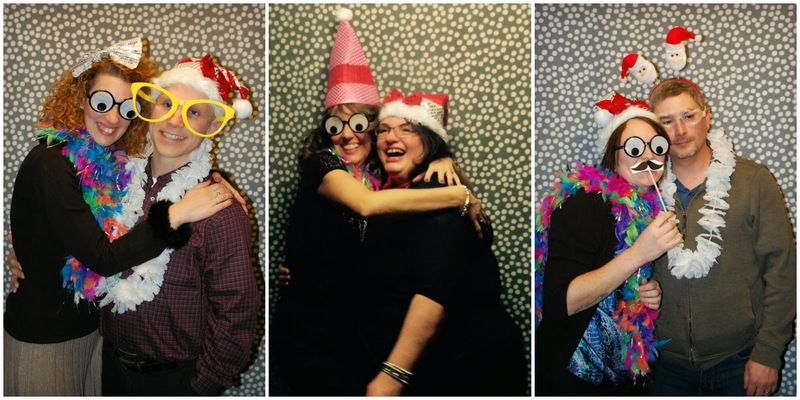 My goal is to photograph and get to know 1000 Newfoundlander 'Faces'." The Faces of Newfoundland project is modeled after Humans of New York, which was started in 2010, and now has over ten million followers on social media, and provides a worldwide audience with daily glimpses into the lives of strangers on the streets of New York City. 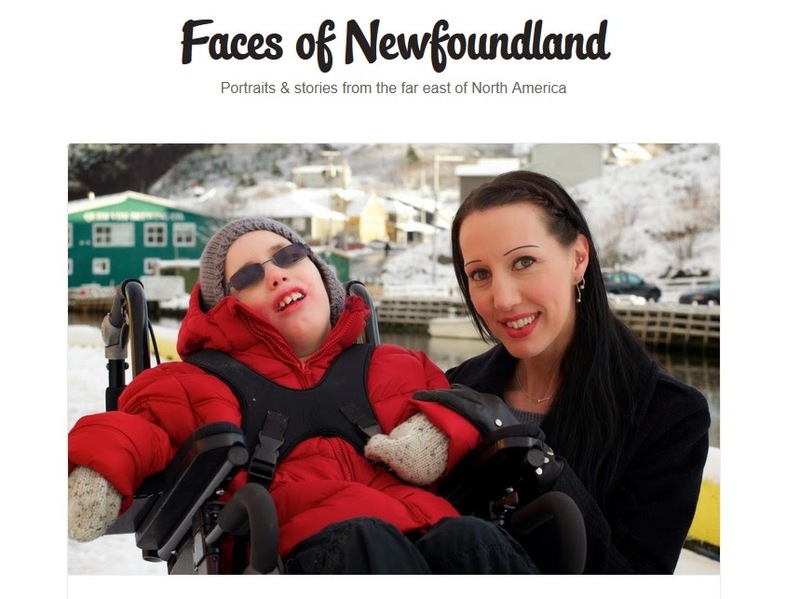 Faces of Newfoundland has also partnered with Humans of Planet Earth (HOPE). The first project of its kind, HOPE brings together over 130 photojournalists from around the planet on a mission to share a rich diversity of profiles from Paris to Uganda, Bolivia to Shanghai, Kabul to Newfoundland. At its core, HOPE is about promoting a universal appreciation of, and respect for, our numerous similarities and vast differences. It is a global celebration of humankind. I'm going to tell you a story. The story behind the story. When David and I initially talked about doing this interview, we scheduled a time for Brennen and I to meet with him. When that day came, it was very windy and cold, and I knew that Brennen would not enjoy being out in that weather. Thinking that we could still do the interview and take some photos, I told David that I could meet with him, but Brennen would not be joining me. His reply was: "It would be better to reschedule, as I'd love to photograph both of you for two separate posts." I read that message on my computer screen, stopped what I was doing, and sat quietly for what felt like a long period of time. I realized in that moment that I had not been seeing Brennen as his own person, as an individual, separate from me. My own son, my flesh and blood, my heart and soul. I was unable to untangle the ties that bind us. 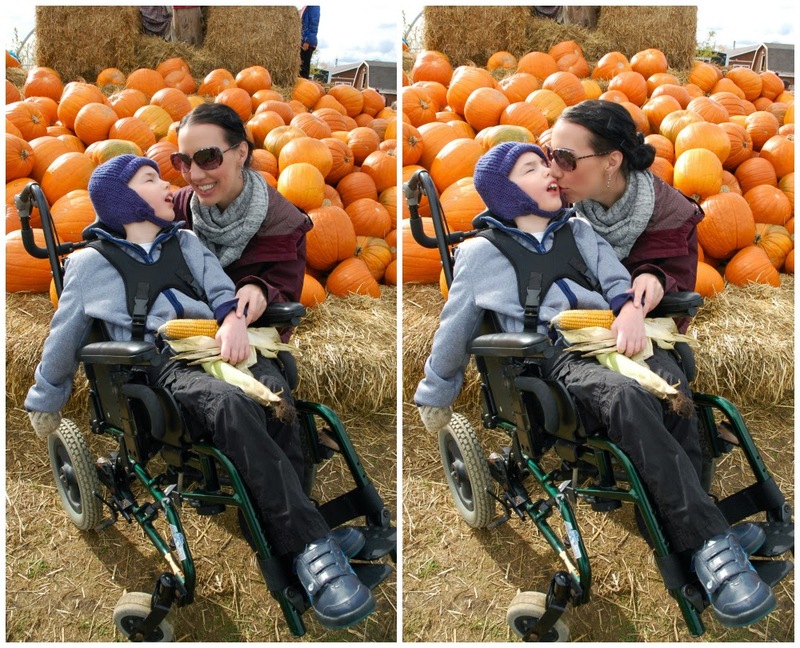 I was horrified by the realization that while I spend so much time and energy writing about how I feel that people with disabilities deserve to be valued and respected, in this instance, I wasn't doing that for my own child. Brennen depends on me for everything. He will never be independent, but he is an individual, with his own thoughts and feelings and likes and wants and needs. He has intrinsic value, and he is living a life with purpose. Thank you, David, for opening my eyes and for reminding me that Brennen is his own person. He is a 'Face of Newfoundland'.. and a pretty damn awesome one, if you ask me! December 3rd is the International Day of Persons with Disabilities. The International Day of Persons with Disabilities has been promoted by the United Nations since 1992. The observance of this day aims to promote an understanding of disability issues and mobilize support for the dignity, rights and well-being of persons with disabilities. It also seeks to increase awareness of gains to be derived from the integration of persons with disabilities in every aspect of political, social, economic and cultural life. Each year, the day focuses on a different issue. This morning, I attended a Business Leadership and Employer Breakfast hosted by the Network of Disability Organizations, of which I am a member. The purpose of the breakfast was to provide valuable information that employers can use to strengthen their businesses and recruit some of the top talent in our province. 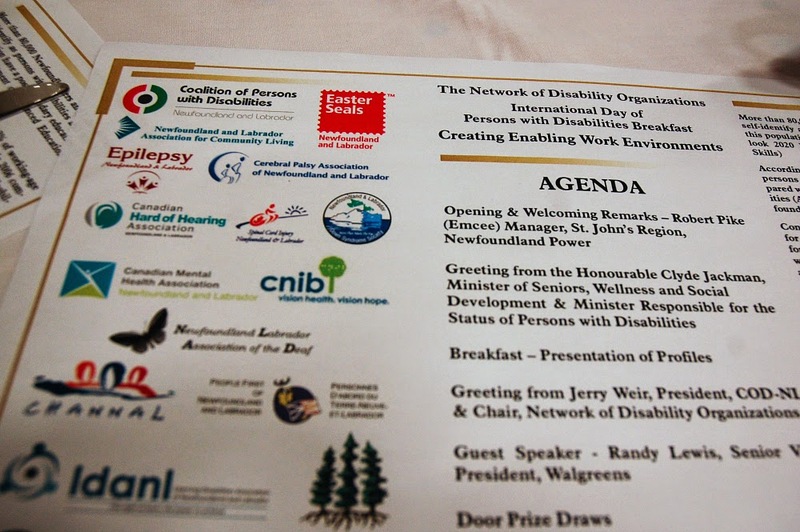 More than 80,000 Newfoundlanders and Labradorians self-identify as persons with disabilities and 40.4% of this population have post-secondary education. 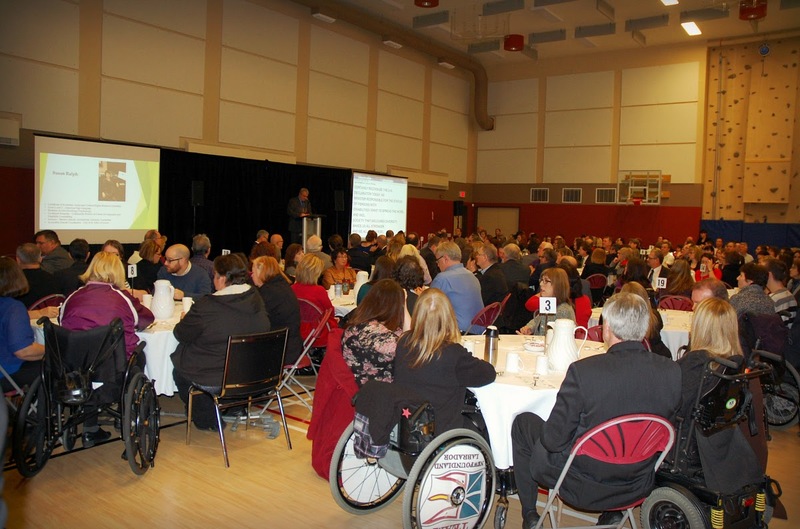 According to statistics Canada, 51.3% of working-age persons with disabilities were employed in 2006 compared with 75.15% of their counterparts without disabilities. Contrary to popular belief, workplace accommodations for people with disabilities are not a financial obstacle for employers. Studies indicate that more than half of workplace accommodations for employees with disabilities cost less than $500 and often nothing at all. The Network of Disability Organizations was fortunate to present keynote speaker, Randy Lewis - Vice President of Walgreens. Randy introduced an inclusive model in Walgreens distribution centers that resulted in ten percent of its workforce consisting of people with disabilities who are held to the same standards as those without disabilities. Its success has changed the lives of thousands with and without disabilities and is serving as a model for other employers in the U.S. and abroad. Mr. Lewis spoke about his son, who has autism, and how the likelihood of his son getting a job was low because of it. He says, "When it comes to getting a job, people with disabilities die a death of a thousand cuts. I know that as a parent and I know that as an employer. We have built these invisible obstacles and walls around ourselves that people with disabilities can't even get through, or if they do they can only get within three inches of the surface. They may not interview well, they may not be able to get through the application form, they may not learn the way we are used to teaching. They may look differently, they may act differently, and the unkindest cut of all is the belief by 99.9 % of us that people with disabilities really can't perform the job as well." 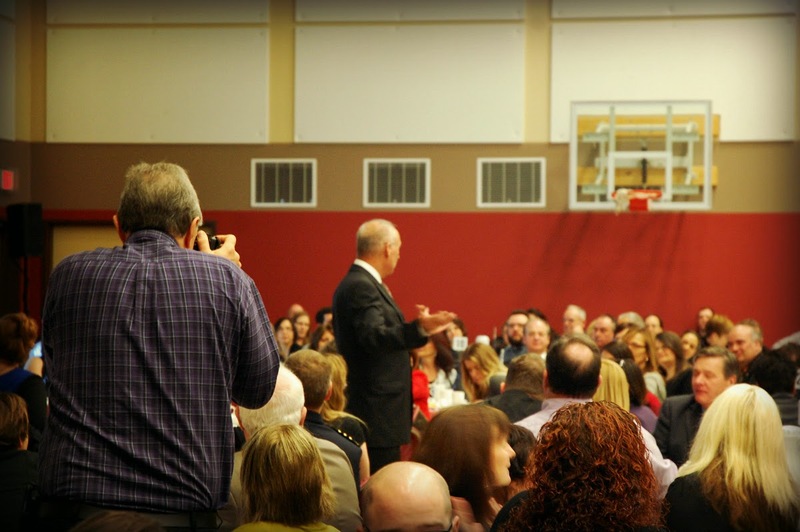 He talked about the many benefits of employing individuals with disabilities, and today, Mr. Lewis asked all business owners to try and make a push for positive change in their own community by re-evaluating how they hire. 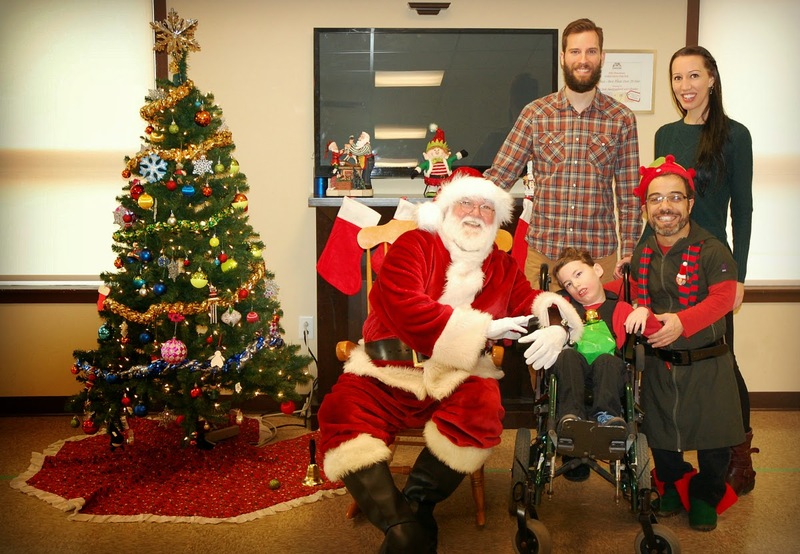 When asked if he did all of this because he had a child with a disability, Randy responded, "This was not about my son, but through my son, I got to see this harsh reality, and seeing what he had accomplished and all those other kids as he grew up, also got to see a grand possibility. This was about all those other parents who lay in bed at night just staring at the ceiling wondering what's going to happen to their child. This is about all the people who can work, who want to work but are not allowed to because of these systems, these processes, these attitudes we've built around ourselves that keep them from doing so. These are our fellow citizens. These are our sons and daughters and neighbours. This was not about charity. It wasn't about disabilities. In the long run, it was about justice." 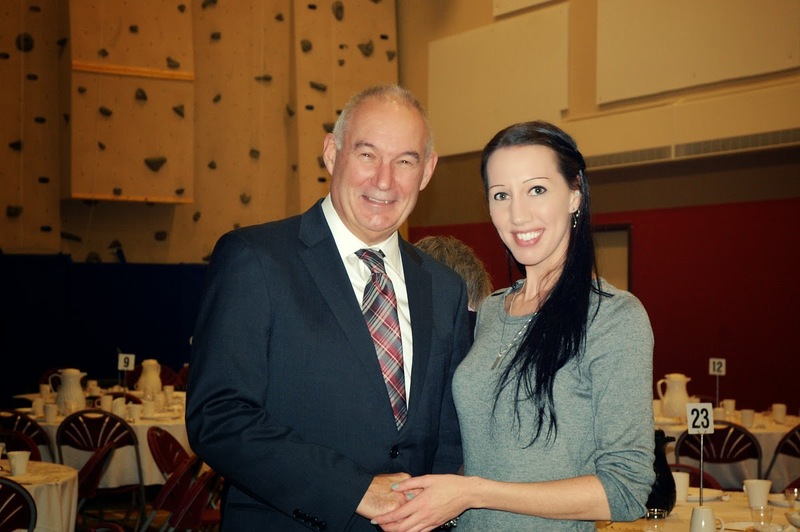 The Honourable Clyde Jackman, Minister of Seniors, Wellness and Social Development & Minister Responsible for the Status of Persons with Disabilities closed by saying, "What is required is a significant shift in the way that we view disability. From corporate philanthropic gesture to a strategic business issue, and I think that message is loud and clear here today. We need to see the building of disability confidence in the labour workforce, and for this shift to occur I think that companies need to understand the business case for realizing the potential of disabled employees.. take steps to remove barriers and make reasonable adjustments to enable people with disabilities to maximize their contributions." 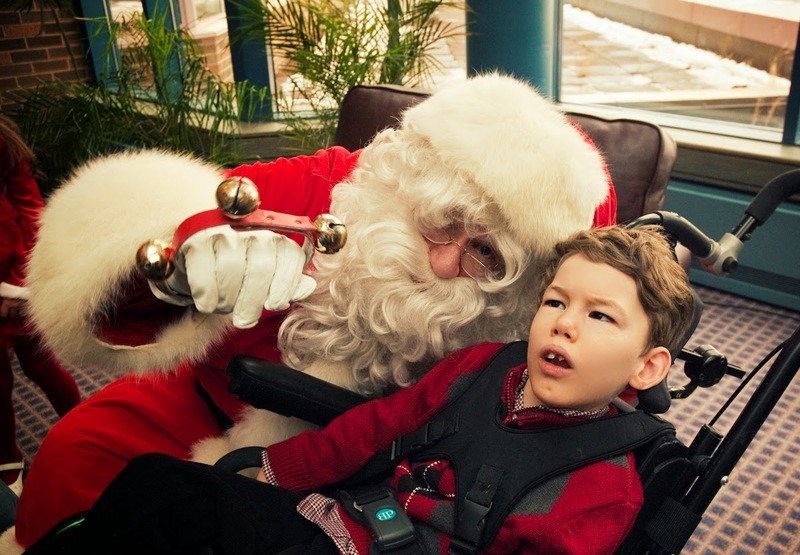 It is reassuring to know that the City of St. John's and its community partners are committed to creating an inclusive community that honors the contributions of all of its citizens. It was encouraging to see such a tremendous turn-out today from the business community, who are obviously open to acceptance, inclusion and advocacy. Things are happening. Progress is being made, and I am so thankful for that. Mr. Randy Lewis is inspirational. He is motivating. 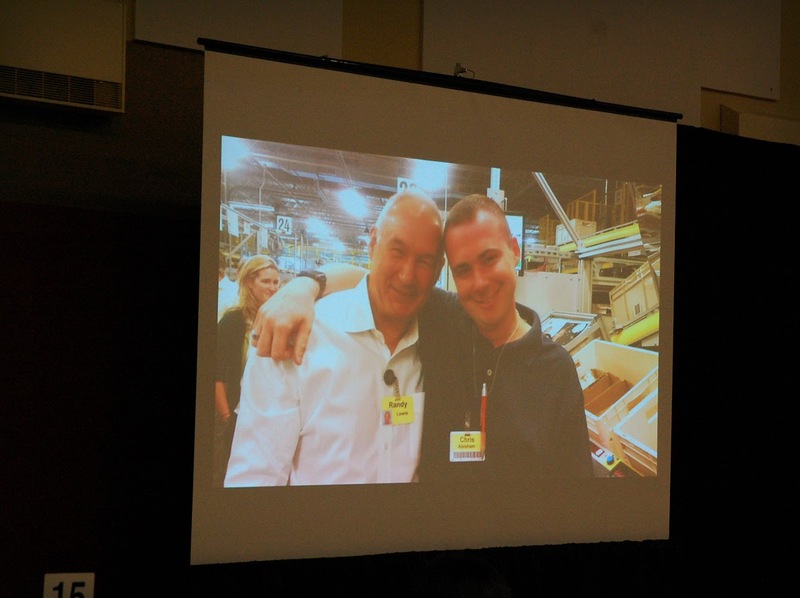 He had a vision for an inclusive workplace, and he made that a reality. 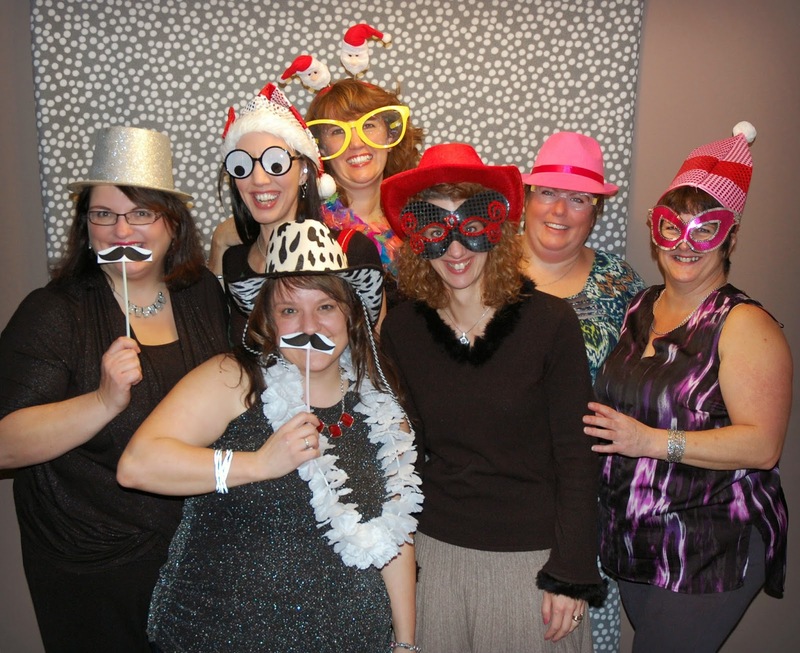 Last night we had our CP Association Parent Support Group Annual Christmas Potluck and Ornament Exchange. Well.. what a fabulous way to kick off the Christmas Season! Glenda Power, one of the founding members of the group was once again, the 'Hostess with the Mostess'. 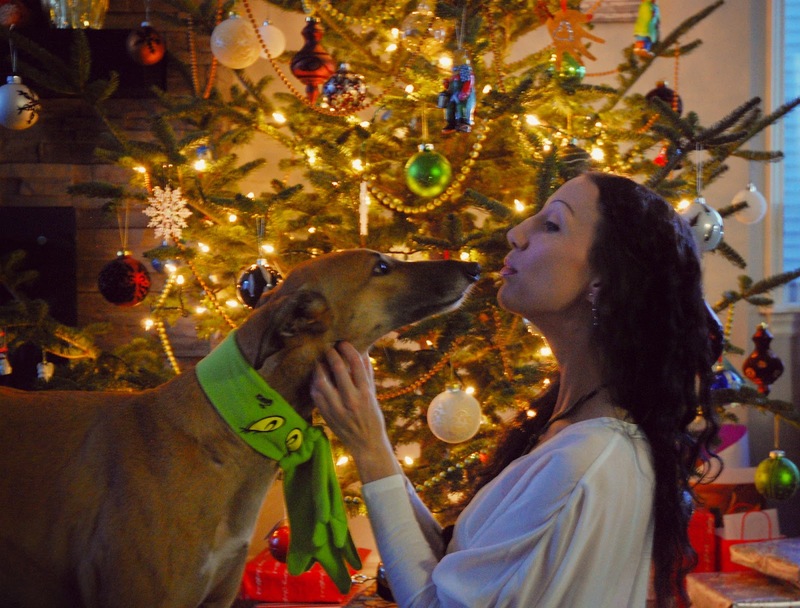 Her home was beautifully decorated for the holidays. Driving to her house, we could see the lights as we approached, and before we even parked the car, I got the feeling that "This is exactly where I want to be!" 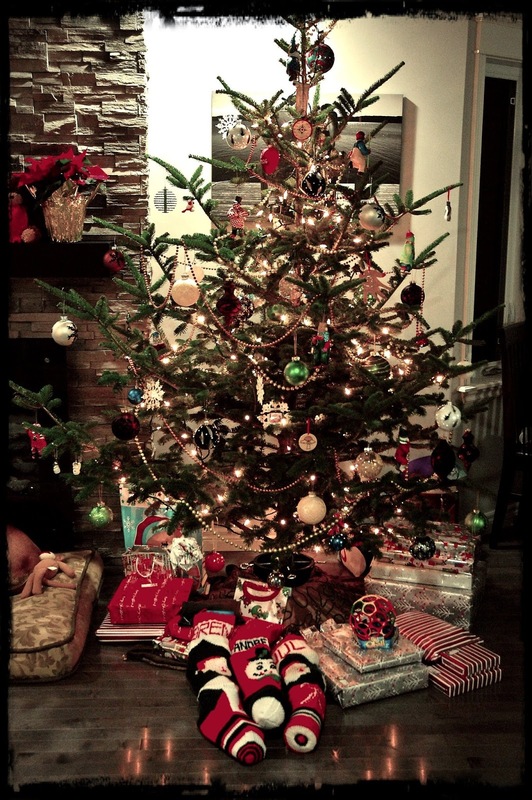 Her tree was perfection. 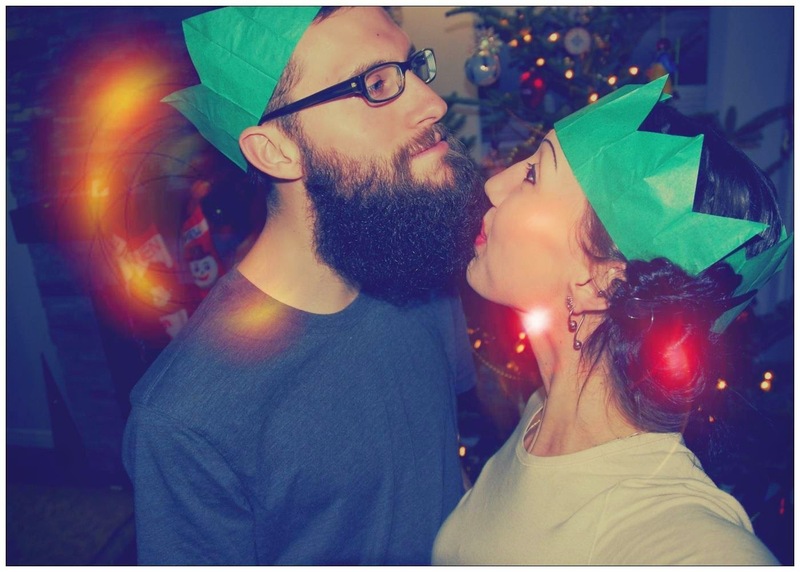 Everything was sparkling and bright and full of love and meaning and memories of Christmases past. The house quickly filled with people - all parents of children with special needs. Many of us have long been friends, since our kids were little and we were new to this journey. 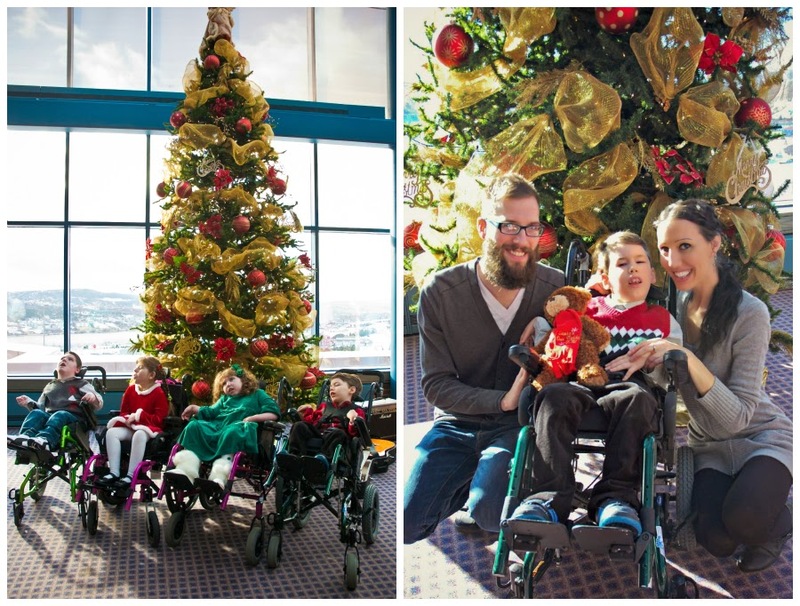 Some were just starting out on their own path of raising a child with a disability. It is amazing to see the connection that is made, almost instantly, and without words even having to be spoken. We just know. We are all there at that time for the same reason. 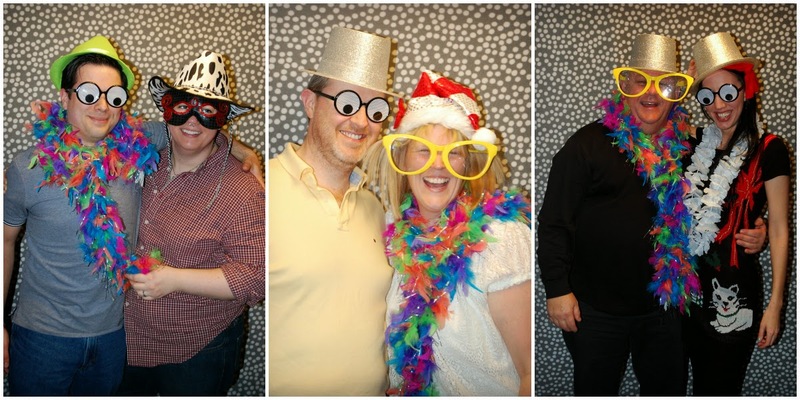 We are a group of parents who are very different from each other in many ways, but alike in so many more. Though we all have challenges, we want the same things for our children. We want them to grow up feeling loved and valued. We want them to have opportunities for education, for friendships, and for meaningful experiences. We want the world to see their personalities and their abilities, and the joy that they bring to their families and to those close to them. Connecting with parents like we did last night is invaluable. There is so much we can learn from those who are just a little bit further down the road than we are. There is so much wisdom that comes with experience, and it is a privilege to be able to pass that along to those who are following closely behind us. Raising a child with a disability certainly comes with it's challenges, but it also opens up a world of possibilities, new friends, life lessons and tremendous love. It is a wonderful feeling - being in a welcoming home, surrounded by parents of children with many different disorders and diagnoses. All parents who have embraced the heartache of raising a child with special needs, and who are happy and hopeful in spite of it. Thank you, Glenda, for hosting a fabulous evening. Thank you to everyone who came and joined in our Christmas silliness, and thank you all for the gift of your friendship. Earlier this year, I brought you the story of an incredible little girl named Bella. Bella came into this world with a poor prognosis, and was diagnosed with a rare syndrome called Frontonasal Dysplasia. Bella has undergone some major surgeries since I last wrote about her. Her mother, Lisa shares an update. 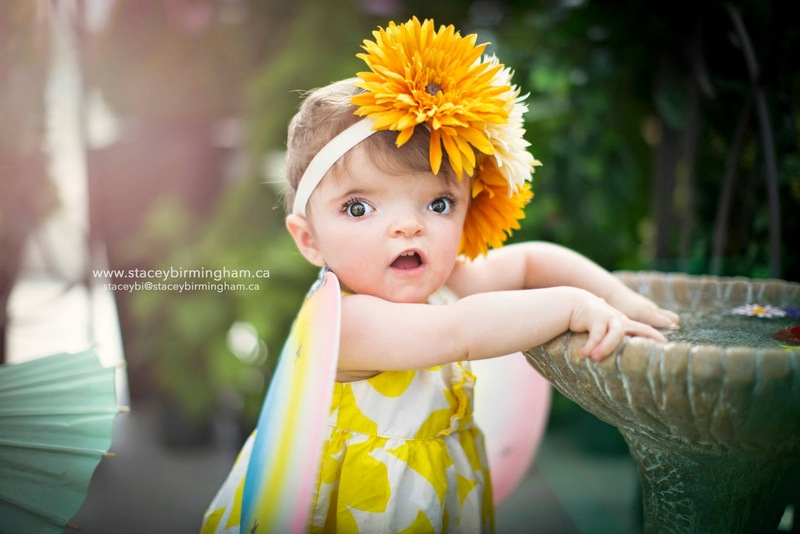 At the age of 20 months, Bella has already undergone three major craniofacial reconstructive procedures. Her head circumference has been brought from the 0 percentile to the 75th percentile. Her skull has changed shape significantly, and her midface, nasal bridge and orbits have been surgically moved forward. Bella has Craniofrontonasal Dysplasia, a rare syndrome that we are still learning about today. Bella's future skull growth is likely to regress and will need frequent "tweaking" until adulthood. She has surgically-created soft spots that may need closing, depending on how her body adapts and heals, and she will undergo a scar revision surgery to minimize scarring from the cranial vault distraction prior to starting kindergarten. Bella's craniofacial surgeries are now at a lull, which we plan to enjoy thoroughly. 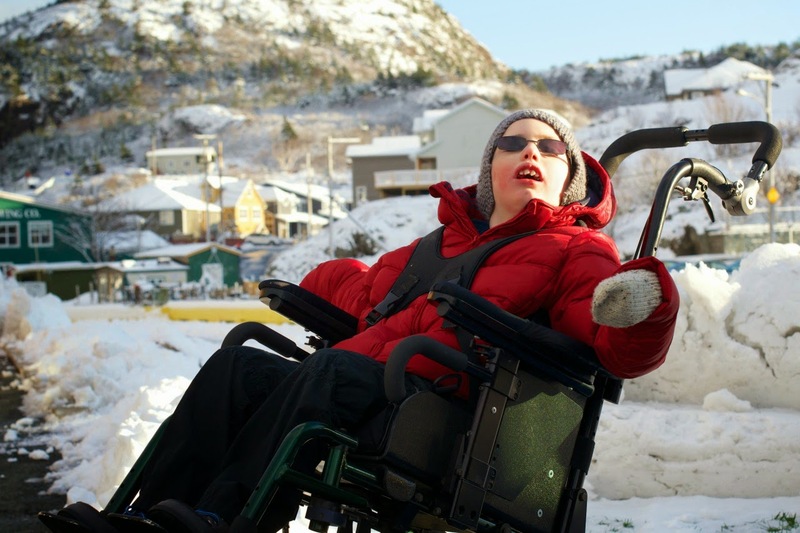 In the meantime, Bella is being followed by the Janeway Rehab team in St. John's, and will commence with the Cerebral Palsy team in January. Due to Bella's initial traumas (a flat-line EEG, seizures etc), Bella has some issues to struggle through, all of which we consider to be fairly minor in contrast to our initial medical expectations. Her prognosis of surviving the removal of life support systems was once unlikely. A future with the ability to walk/talk/flourish was once the furthest thing from a possibility. We retained hope for Bella, no matter what obstacles we faced. Looking into her eyes gave us hope, as the eyes staring back at us seemed to speak volumes. We chose to make her life as comfortable and enjoyable as humanly possible, no matter the challenges. We once said "If there's even the slightest chance that she can feel happiness, we have to try". And we did, and we were blessed in return with countless vibrant grins and a giggle that would melt the coldest heart. We realize the bullets we've dodged, and we appreciate them numerous times every day. We cherish and marvel at every surpassed milestone. We celebrate her every day. We have been blessed endlessly. I truly believe that the positivity that has surrounded us since her birth has helped on countless levels. The support we've received has been both humbling and breathtaking. Should Bella require assistance due to Cerebral Palsy, we still consider ourselves lucky, as it's obvious any detriment won't inhibit her, she just might need to do some things a little bit differently. The point is, she'll still get it done. She'll see, feel, hear, and know life and love. And if you ask me, that's really all that matters. 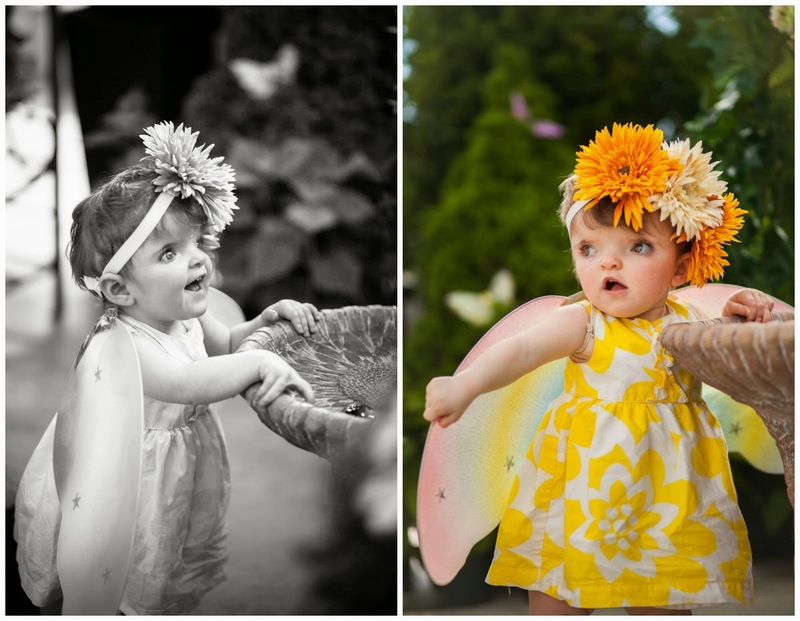 A couple of months ago, a team of supporters and family members sponsored a photo shoot for Bella and her family and created a fundraising calendar to help with the astronomical costs of her surgeries and frequent trips to Toronto's Sick Kids hospital. Although Bella is thriving and is a happy toddler, she will still require multiple craniofacial reconstruction surgeries in the years to come. 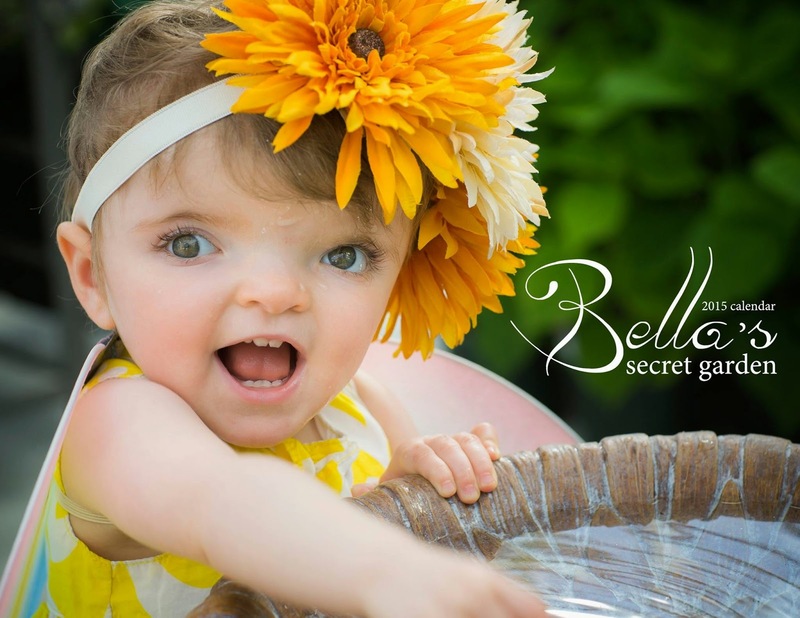 Bella's Secret Garden calendar is available now, and has been selling fast! Please join Bella's Secret Garden Community on Facebook to find a list of locations where calendars are available. Bella, you are a true inspiration. Lisa writes in the calendar, "Bella has consistently defied all odds. 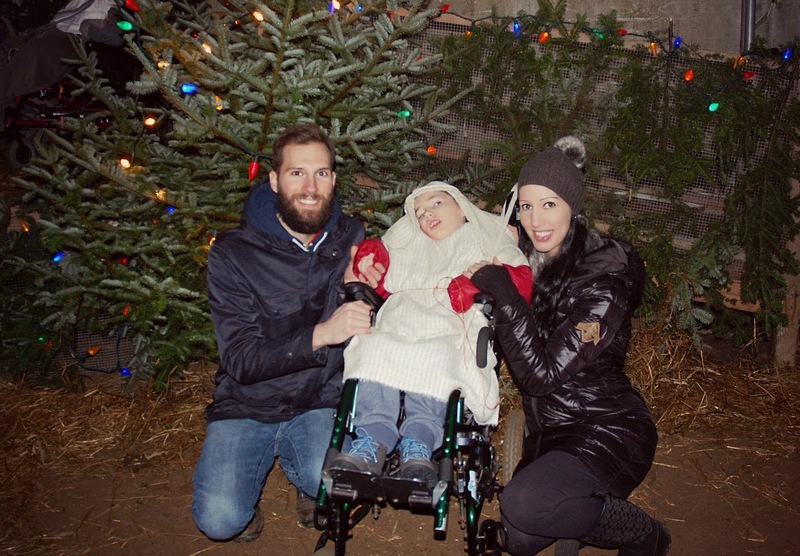 I pray that even one mother can retain hope after seeing Bella's journey." Lisa, I am one mother you have touched, but I am only one of countless others. You have shown me that despite adversity, every day is an opportunity to celebrate life. You confirmed for me what I learned years ago - that no matter what our children look like or what they are able to do, they deserve to be valued and celebrated. I hope you always know how valuable your abilities, your love, and your mere existence is. You are a gift, sweet Bella. I am honoured to be on the receiving end. I have recently been asked to take my blog to a National level - to be part of a larger community and to feature stories from across the country. While I appreciate the offer, I had to graciously decline (though I do have another project in the works.. stay tuned for details on that!). I have to say that I truly value the fact that the stories I share on my blog and in my Tulip Tales series are based closed to home. 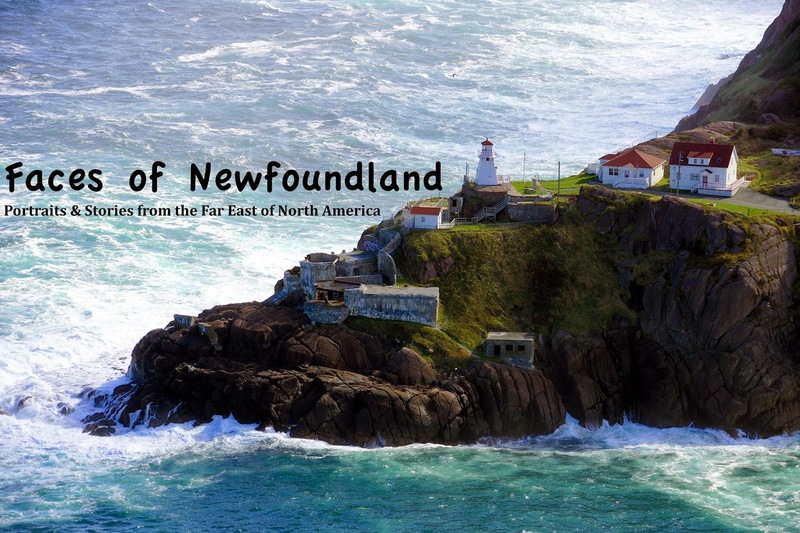 There is so much culture here in Newfoundland and Labrador, and the people are so diverse. They are richly talented, highly insightful and genuinely warm, caring individuals. They have incredible stories to tell, and I am honoured to be a part of helping to share those stories. I have, however, decided to open up my blog and to create a space in which to highlight some local talent! For this first feature, I teamed up with Ashley at Newfound Leggings. I love to support local artists and businesses, and I am especially happy to promote strong women and mothers who seek out opportunities to pave their own path and create their own successful business ventures. Ashley Powell has done just that. In her day job, Ashley is an Aircraft Maintenance Engineer. No joke - she fixes airplanes! As the mother of two young boys, and doing shift work, Ashley quickly realized that she didn't have the time or even the need for a dressy wardrobe. 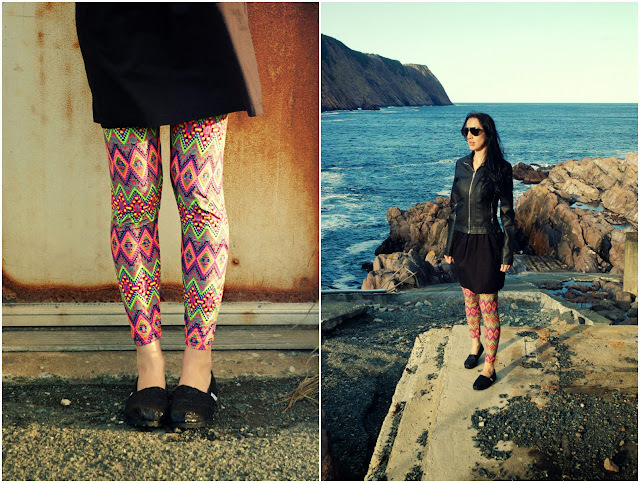 She found that adding a cool pair of leggings to a casual outfit was a way to get dressed up quickly and easily! Ashley and her sister sourced and selected the softest and most comfortable leggings to bring to the Newfoundland market. "I think Newfound Leggings is successful because of the quality of the product. I have a wide variety of styles and designs to choose from. You can be dressed up and still be comfortable, and at work you could always wear them under dresses or skirts! Newfound Leggings is a fun little business for me! ", says Ashley. Leggings are an accessory that can spice up any outfit. I usually tend to play it safe and stick to dark colours and a neutral palette, but adding a pair of brightly coloured leggings is a great way to make an outfit that might be a little “blah” come alive with an extra pop of colour! I received four unique pairs of leggings that I mixed with pieces from my own closet. I am absolutely in love with this funky comic strip pattern! This is a great Fall look. My favourite way to wear leggings is with boots and lots and lots of layers! For this second look, I paired a simple black dress and jacket with a funky geometric print legging and my favourite flats. For daytime, TOMS are my number one shoe choice - they are so comfy and cute! These leggings kept me surprisingly warm on this cold November day. They are super comfortable and appropriate for an everyday casual look.. and if you're not comfortable wearing a short skirt with bare legs, these leggings just might be your best friend! I am so excited about this "Hammer Pant" style! Seriously, they are ridiculously comfortable. The look might not be for everybody, but I am a fan. U Can't Touch This. Visit Newfound Leggings facebook page to view styles and patterns. 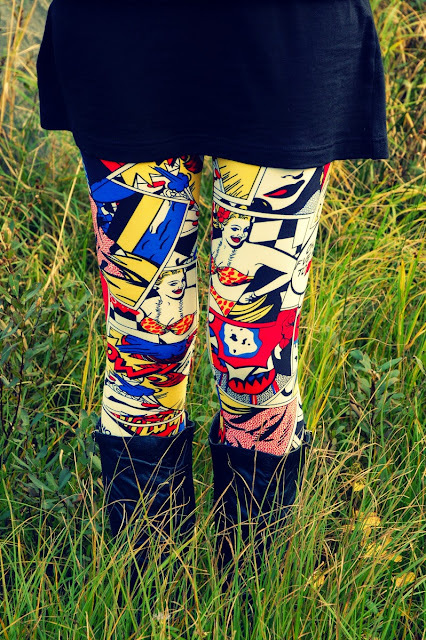 Leggings are available in both Adult and Kids sizes! I am so excited to announce that I have been nominated for a WEGO Health Activist Award! 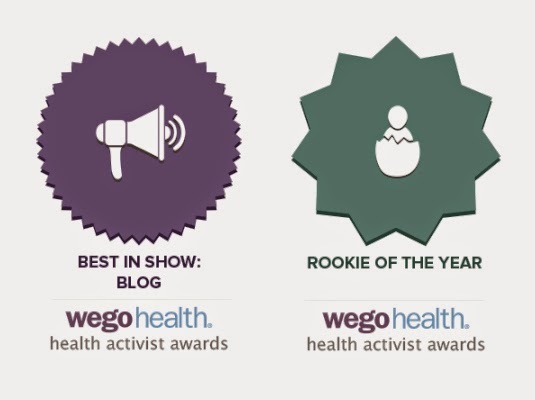 WEGO Health Activist Awards celebrate leaders in online health communities. Health activists are influencers, organizers, connectors, leaders and contributors who are passionate about helping others lead healthier lives. Best in Show: Blog and Rookie of the Year! The Best in Show: Blog Award is meant for those Health Activists whose passion is captured through their writing. They are constantly sharing new and fascinating health information, and their blog content is sought out by many to read. The Rookie of the Year Award is for the Health Activist who has just recently (this year) began blogging, sharing, posting, or tweeting but who, in your opinion, is already the epitome of an advocate. It is exciting just to have been nominated, but in order to become a finalist, I NEED YOUR HELP! I appreciate all of your support! Thank you! We are ready for Halloween over here! We've visited the pumpkin patch at Lester's Farm. 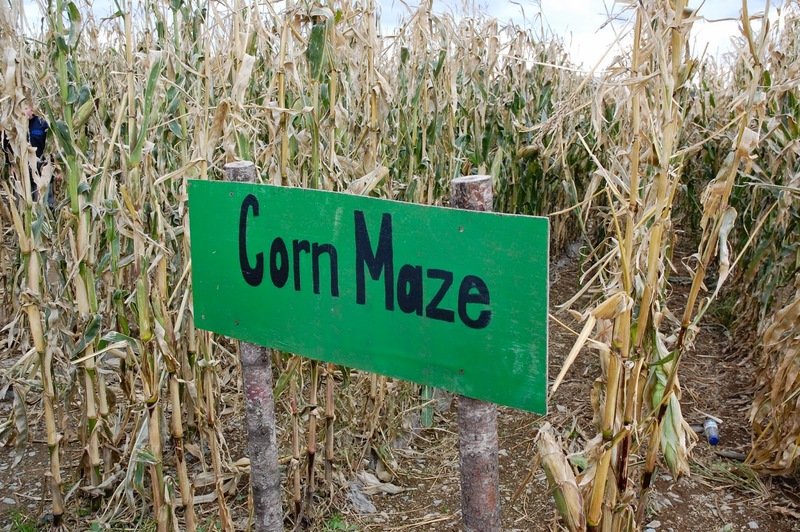 We've made our way through the corn maze, and we've selected the biggest, roundest pumpkin to call our own. I love Halloween - the frenzy of festivities, planning parties, dressing up.. I'm all over it! Brennen has had some awesome costumes over the years. Let's see if I can get all nine: a zebra, a frog prince, an astronaut, a ninja, a pirate, a silly monster, a mummy, a firefighter, and Superman! We celebrate this holiday (as we do most holidays), a little differently than most families. I don't take Brennen trick-or-treating around our neighbourhood. We will dress up and visit some family and a few close friends, but the truth is that most houses are not accessible, having more than a few steps to the front door. It is just not possible for Brennen to get to the doors to knock for treats. Then, of course, is the fact that even if he got the treats, he wouldn't be able to enjoy them. 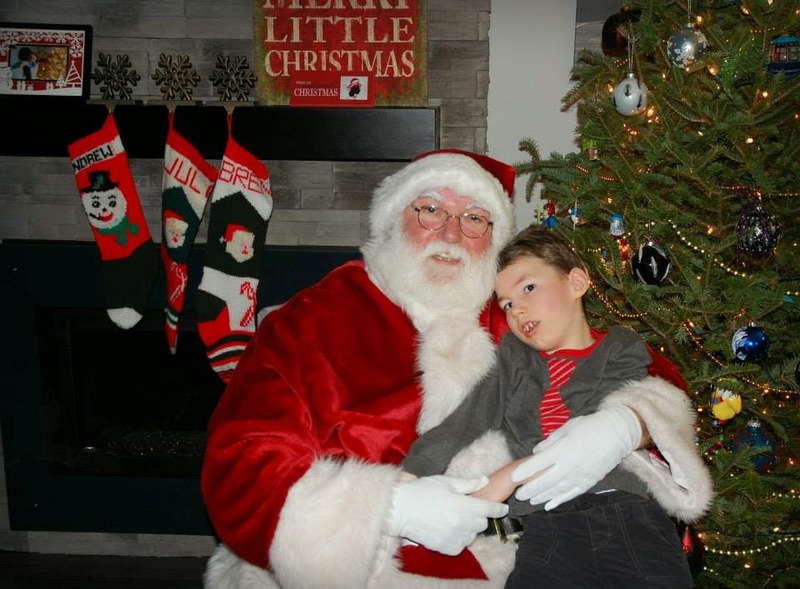 Kids with special needs can feel very left out on the holidays. As a parent of a child with a disability, I have an underlying pain in my heart seeing other children Brennen's age so easily having fun. Events like these have a way of forcing you to see how different your own child is in comparison to everyone else, and how hard they have to fight to be included. This year, we are trying something new! 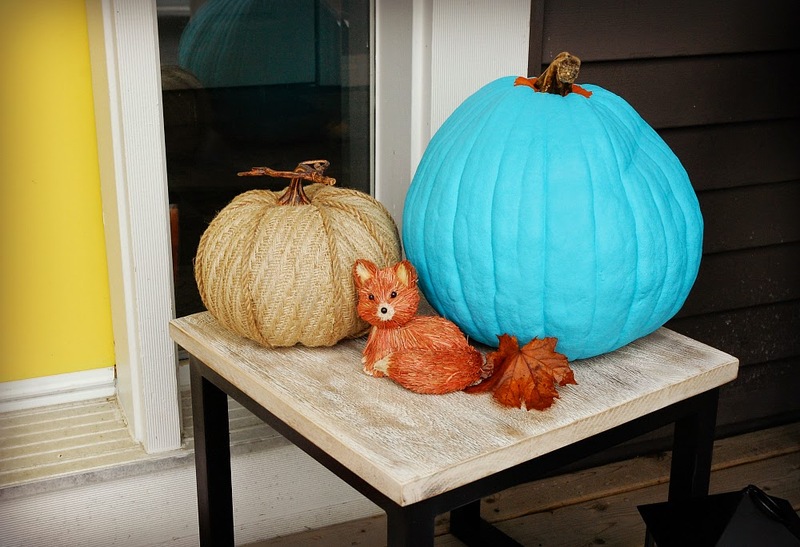 We have a beautifully painted teal pumpkin sitting on our front step! Not because it's a cool Pinterest fad - though if I had to choose a favourite colour, it would probably be this one. We are participating in the Teal Pumpkin Project! 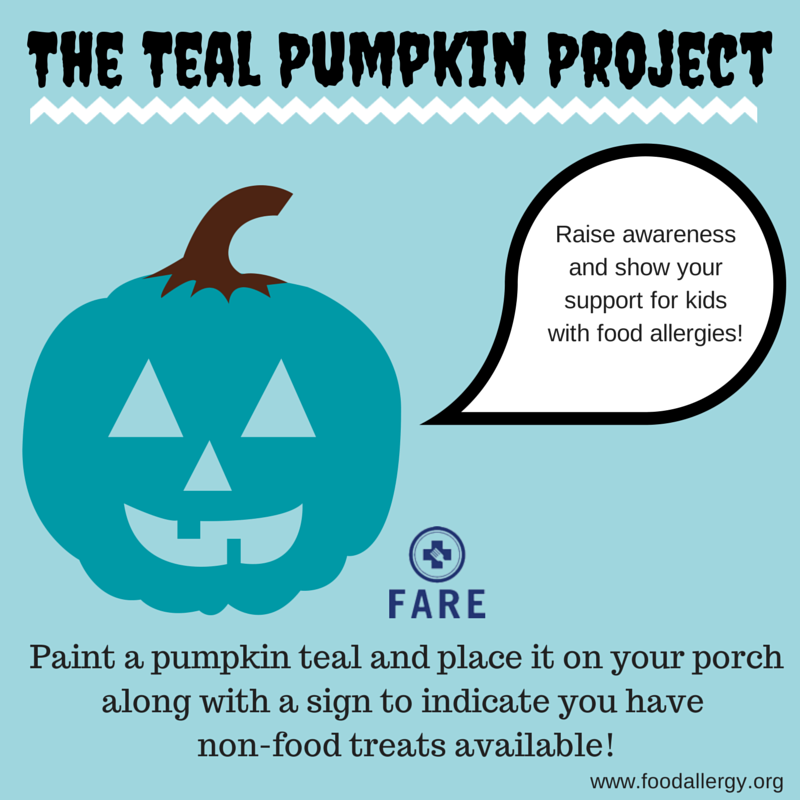 Just this year, FARE (Food Allergies Research and Education) launched the Teal Pumpkin Project in hopes of starting a new Halloween tradition, and I absolutely love the idea! 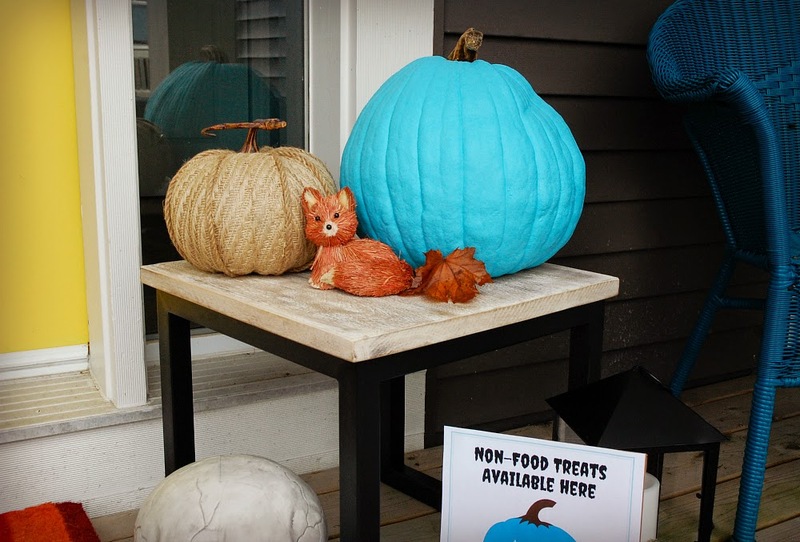 "This Halloween, FARE is encouraging communities to start a new tradition that will help make this holiday season less scary for children with food allergies: the Teal Pumpkin Project. 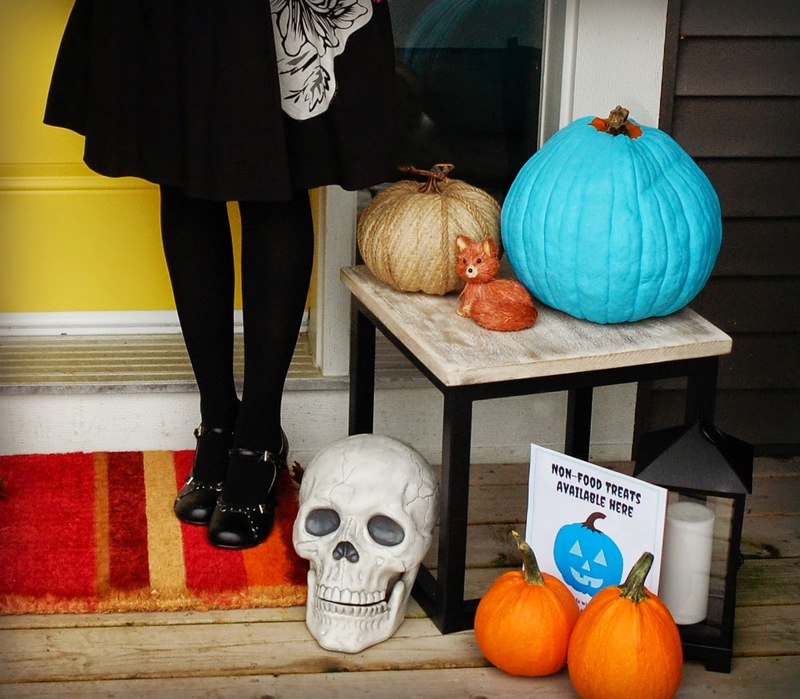 This campaign encourages people to raise awareness of food allergies by providing non-food treats for trick-or-treaters and painting a pumpkin teal - the color of food allergy awareness - to place in front of their house along with a free printable sign from FARE to indicate they have non-food treats available." Though the project was initially intended to benefit those with food allergies, I feel that it also applies to individuals and children dealing with intolerances, sensitivities and disorders that limit what they can consume. Children who may be tube-fed and do not eat by mouth, or who (like Brennen) do eat by mouth but don't chew well. Brennen does not eat candy or chips or any of the other common Halloween treats. He wouldn't know what to do with a lollipop and would probably choke on candy corn. The goal is not to eliminate candy. I will have a selection of the usual Halloween treats available for children who want them (and some for myself!). The aim is to provide an option for non-food treats to ensure that ALL kids have a happy Halloween. Now, if we could do something about those stairs..